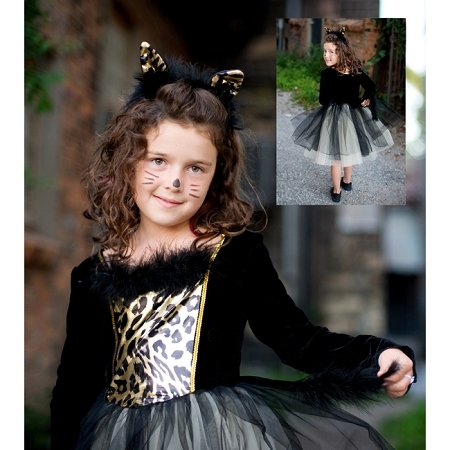 Pretty Kitty Dress perfect Halloween costume. Pretty Kitty dress real kitty with lots of tulle, little tail on the back and headband ears for full kitty effect. One of girls favorite costumes for Halloween.